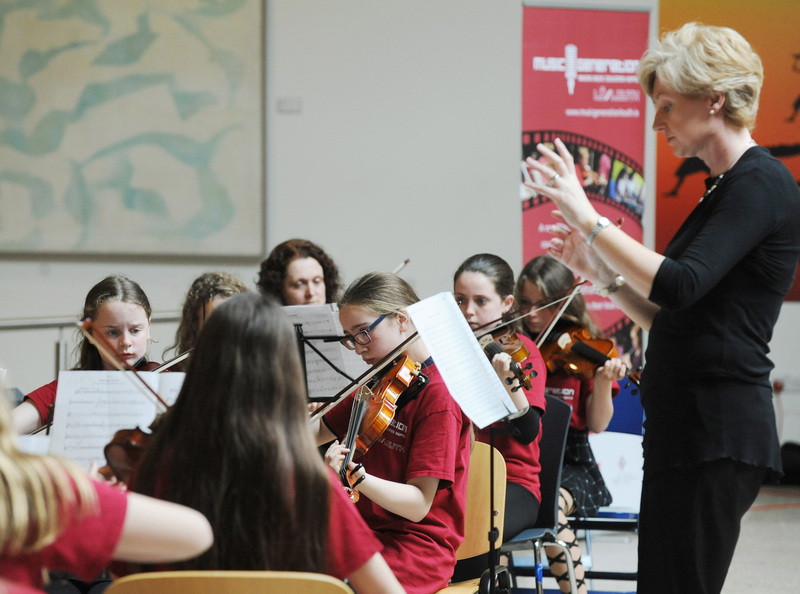 Music Generation Louth has established a very successful string orchestra programme for children and young people that has expanded to cater for three levels of young string players – Senior Strings, Junior Strings and First Strings. Groups rehearse weekly during term time at the Music Department of the Dundalk Institute of Technology (DkIT). Performances take place at the end of each term and each year, groups compete at the Newry Feis. Under the leadership of Jayne Graham, the programme provides members high quality training as orchestra string players and is a fantastic way for young players to develop their musical skills. TERM 1 DATES: *30 August, 6, 13, 20 and 27 September; 4, 11, 18 October; 8, 23 and 29 November; 6 December (to include Christmas Concert). We would be delighted to hear from children and young people who would like to join our string orchestra programme. No audition is necessary. Membership to First Strings is open to anyone that has been attending lessons on violin, viola, cello or double bass for a year or more. Annual Membership is €60 (€30 per term payable in advance). Gemma Murray, Co-ordinator, Music Generation Louth, Louth and Meath Education and Training Board, Chapel Street, Dundalk. This entry was posted in Music Generation Louth. 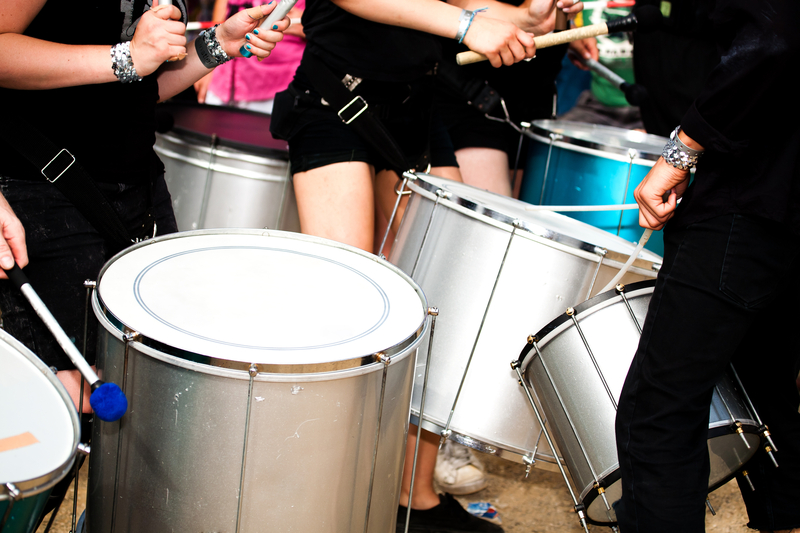 FESTIVAL SAMBA, A TASTE OF BRAZIL RETURNS! A two-day workshop with MaSamba Samba School, Ireland’s premier Brazilian music and dance collective. No experience necessary, all instruments provided. Open to all young people aged 13 and over. Workshop with Irish rapper and lyricist Temper Mental Miss Elayneous. No experience necessary. Open to all young people aged 13 and over. Email musicgeneration@lmetb.ie or phone/text 087 7607385 to book. ADMISSION FREE. PLACES LIMTED. EARLY BOOKING ADVISED. Junior Songschool comes to Louth! An amazing music camp for 8-12 year olds who are interested in writing, recording and performing their own songs and music! We’re delighted to present Junior Songschool in collaboration with Songschool. Books out each year in the National Concert Hall but now you don’t have to travel to Dublin for Songschool – it’s here in Dundalk and Drogheda! Guaranteed absolute musical fun. Song school is an action packed week for anyone who loves to write, perform and record their own songs. Check out the video below to find out more. We’re very lucky to have it here in Louth. Forget the hassle of travelling all the way to Dublin and simply let the kids enjoy all the fun that’s in store! Don’t miss your chance to secure a place. Book your space with us today. Email: musicgeneration@lmetb.ie or please feel free to phone the Music Generation Louth office on 042 93 64635. If you’d like to know more then visit the Songschool website- songschool.ie or contact us if you have any questions! Music Generation Louth was delighted to launch Songlines with a performance and demonstration in the Oriel Centre, Dundalk Gaol on June 18th. Songlines is a new collection of 10 children’s songs, reflecting and celebrating the growing cultural diversity of county Louth. Songlines brought Music Generation Louth together with a wide variety of other groups, to research and gather songs with the aim of building a unique and culturally diverse collection of world songs for Louth. It was a particularly exciting project for us because it helped us connect with such a diverse range of communities as a means of building better relations in the local community. The collection has been compiled for use in primary schools and each of the songs is accompanied by a game or activity to further engage the children with the musical activity. The Project is supported by the European Union’s PEACE III Programme as awarded by Louth Peace and Reconciliation Partnership and The Irish Government’s Reconciliation Fund, as awarded by the Department of Foreign Affairs and Trade. Some lovely moments from our end of term concert today at DkiT Music Department, Dundalk. Well done everyone… it was brilliant! And so we have come to the end of our marathon run of concerts for 2013/14. A morning of celebration for our Junior Orchestra. Check out some of the photographs from the fantastic morning we had to celebrate our Junior Orchestra’s win at Newry Feis. Well done again to all involved. As you can see a great time was had by all … and we had a spectacular cake too! A traditional music school focusing on fiddle, tin whistle and guitar. Caters for a range of levels up to advanced. Minimum experience required – one year attending lessons. Other instruments available on request and subject to demand. Our traditional music tutors are joined by renowned fiddler Zoe Conway, guitarist John McIntyre, Scottish harper Catriona McKay and Shetland fiddler Chris Stout for what promises to be three great days of traditional musical learning…. master classes, composition workshops, ensemble if you are young traditional player, this offers a fantastic way to develop your musical skills and learn a wealth of new music from Ireland and further afield. Calling all members of our orchestras, bands and ensembles and anyone learning an orchestral instrument … this summer school has been designed especially for you! Make sure you get along to orchestra school this year for loads of fun workshops, rehearsals and great music! A music camp for 8-12 year olds who are interested in writing, recording and performing their own songs and music! If you play an instrument, make sure you bring it along. Packed with lots of fun activities and an opportunity to meet others who love music as much as you do! Welcome to the Music Generation Louth blog. Here we can keep you updated with all our events, classes and share with you lots of photos, videos and upcoming news. Please feel free to comment and share. Enjoy!